The Drum Café is an innovative network of creative and performing professionals with a central aim of re-defining arts as a powerful medium for social change in Kenya and East Africa. 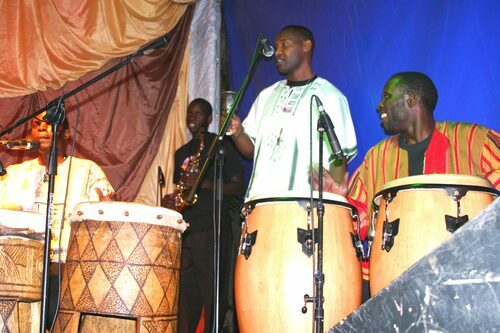 The first Drum Café was first hosted by Alliance Française DE Nairobi in September 2006 and supported by various individuals, cultural and artistic institutions. The Drum Café managed to hold workshops and organise performances where skills and knowledge were shared with the audience besides serving as a source of soulful entertainment for a period of 4 years with a climax of a two days conference and festival..
Mission: To work towards a cultural intervention in building bridges of love, respect and understanding around nations by educating and mobilizing communities in creating a future of peace and justice for all humanity using available media and arts/cultural methods. To highlight knowledge and practices in the field that advance artistic effectiveness to expand a collective impact. To increase cultural awareness and promote exchange between culture and development. Cultural creativity found its rightful place in past ages, a place of honor that enabled it to participate in all ceremonies that marked important stages in a man’s life. However, with the passage of time, technological advancement, rural and urban migrations and industrialization have adversely affected the function of the sector by introducing the mass communication media which to date remain alien to both rural and urban dwellers. The enormous amount of influences that has been infiltrating Africa since the colonial era has in no way been counter balanced by any sign of foreign encouragement for the indigenous African cultural creativity. 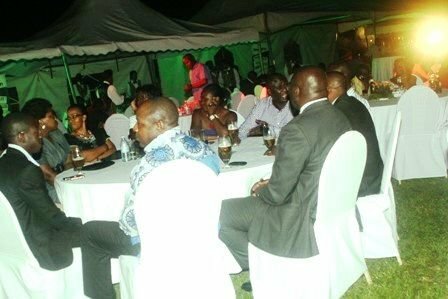 Due to the degenerating culture and tradition in the young generation, the project shall therefore maintain the continuity and sustainability of the sector as a means of social cohesion and development. The challenges are many and the answers to this question touch on a number of issues, ranging to down-to-earth consideration of time, logistics and quality development to the question of the right training of practitioners and on the difficult of theoretical issues many of which are major obstacles. It is clear that African cultural creativity goes far beyond the realms of Art and yet in these modern times, it has failed to retain in intact those of its functions that have given Africa society throughout the ages its own particular character. 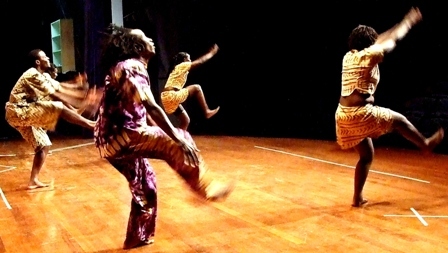 While it is appreciated that 84 percent of people in Kenya know about the potentiality of cultural creativity and its pivotal role in the employment sector, little has been achieved in empowering the industry with exposure, partnerships and resources to ensure value addition which is necessary for market sustainability. The project shall create modalities of preserving ancestral forms of art as part of a genuine cultural development program. 5) To give recognition to the distinctive nature of cultural activities, goods and services as vehicles of identity, values and meaning thus creating job opportunities to young cultural operators. 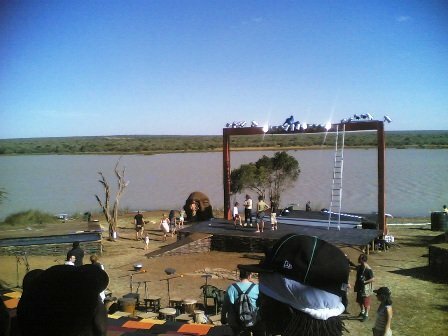 6) To encourage diverse approaches to building an effective infrastructure of cultural creativity industry.